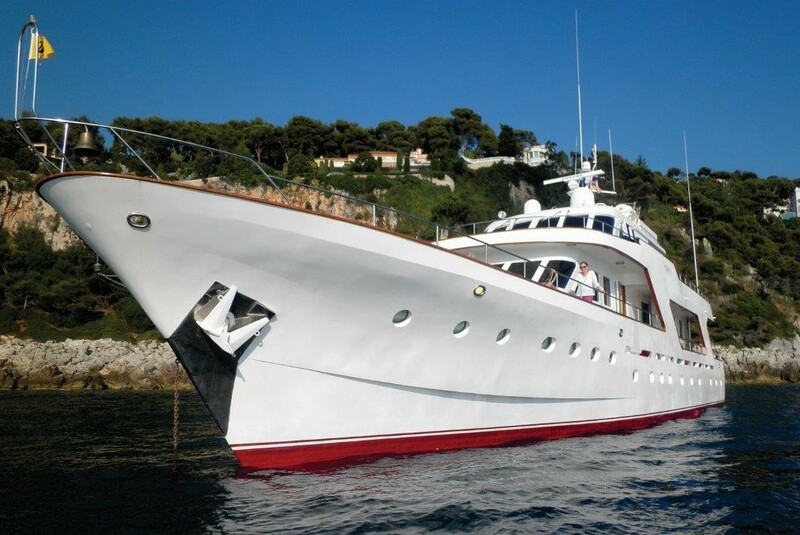 Originally built by the Dutch shipyard Witsen & Vis in 1971, the 30m motor yacht Sprezzatura represents classical beauty, as well as internal grace and luxury. 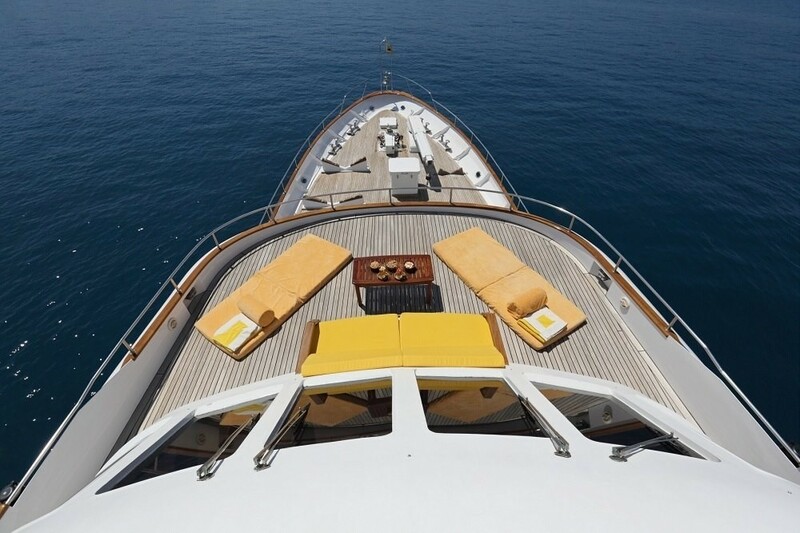 Sprezzatura superyacht was designed by Nicolaas Witsen and her latest refit has taken place in 2012. 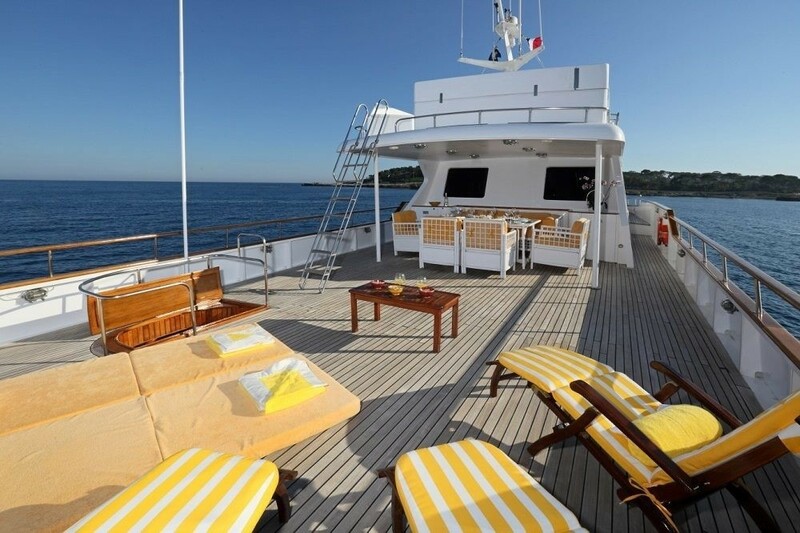 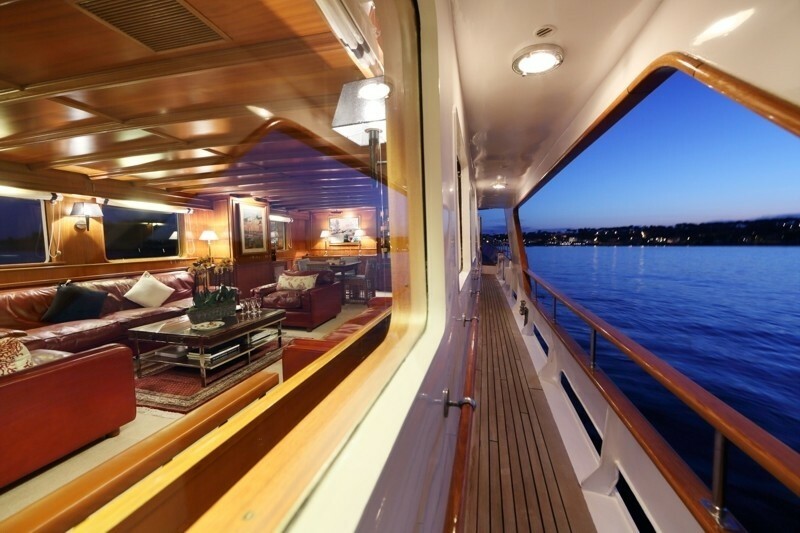 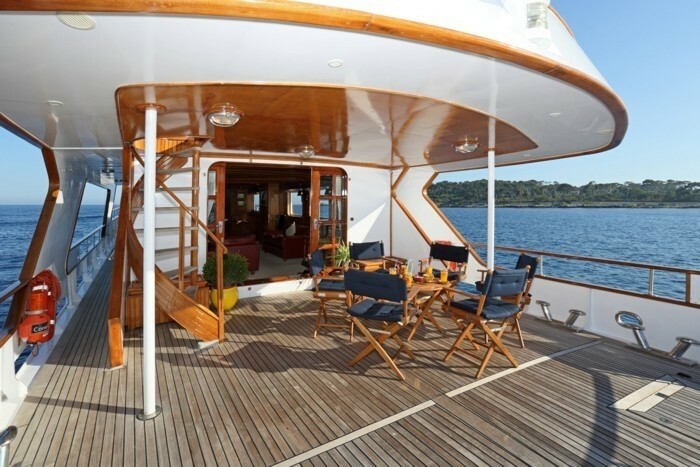 The total number of 8 guests can find maximum comfort aboard Sprezzatura superyacht. 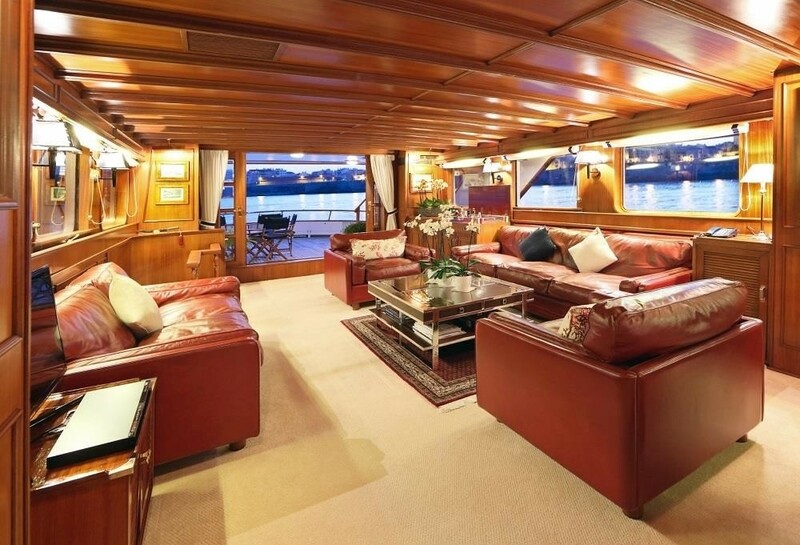 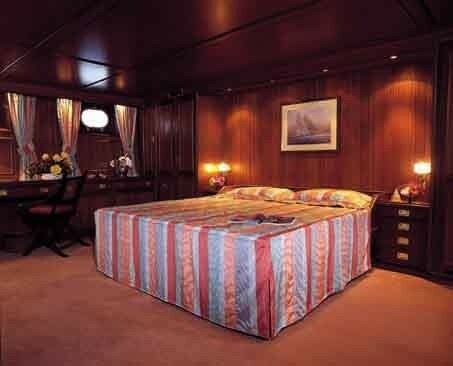 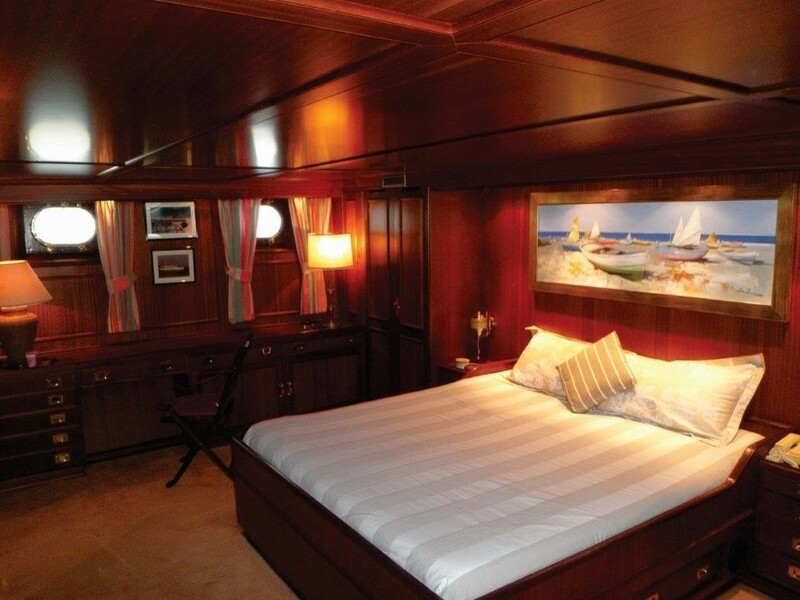 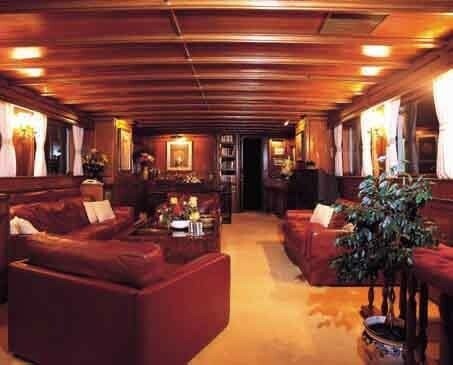 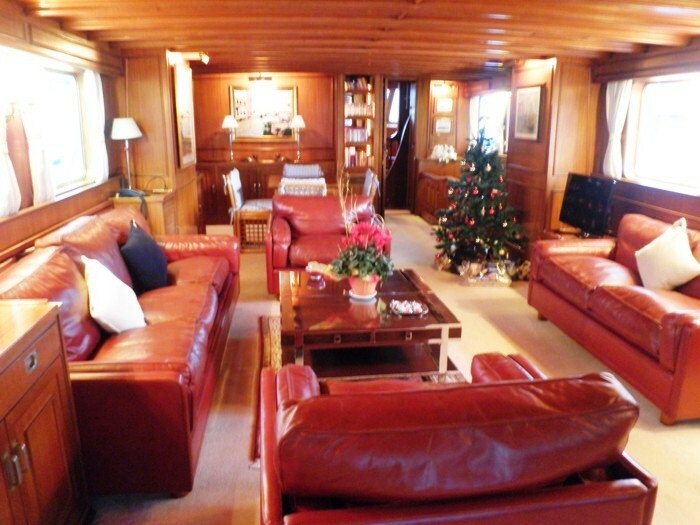 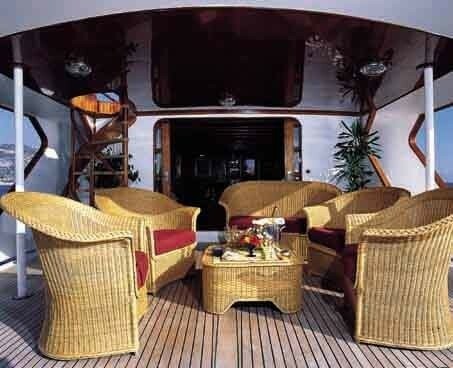 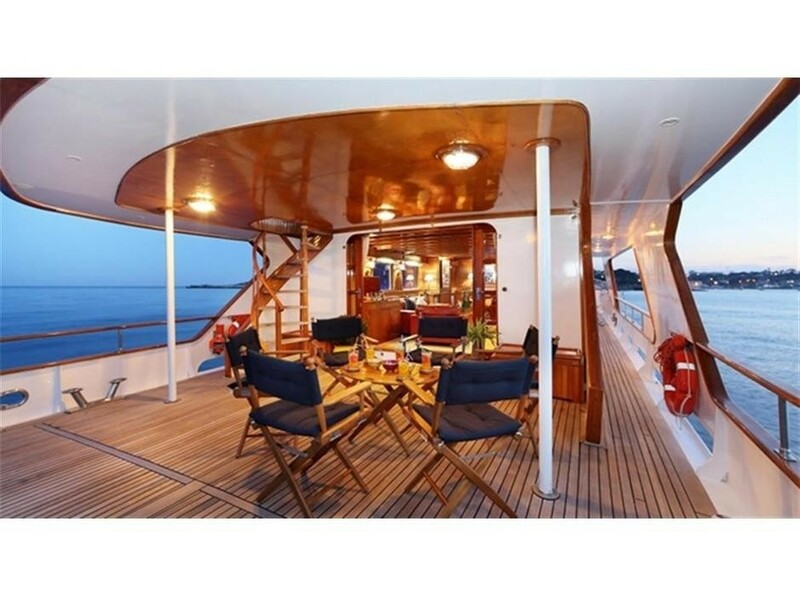 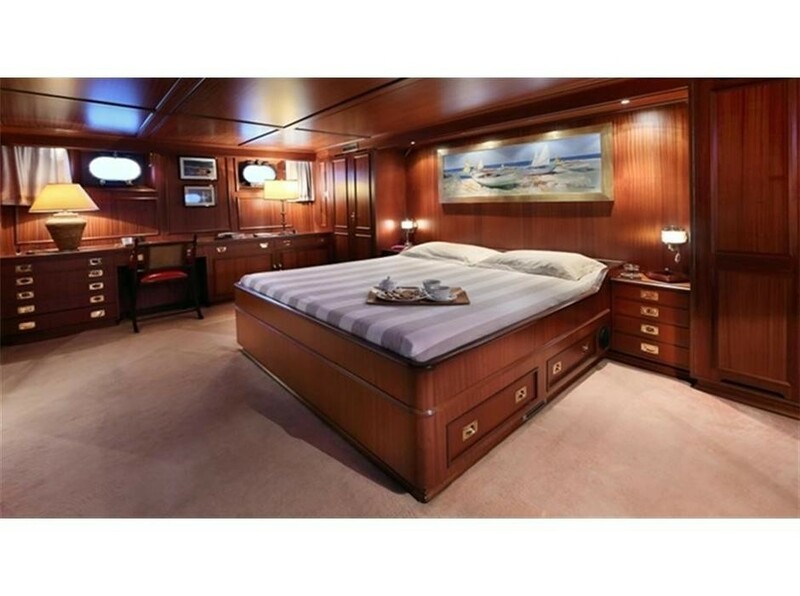 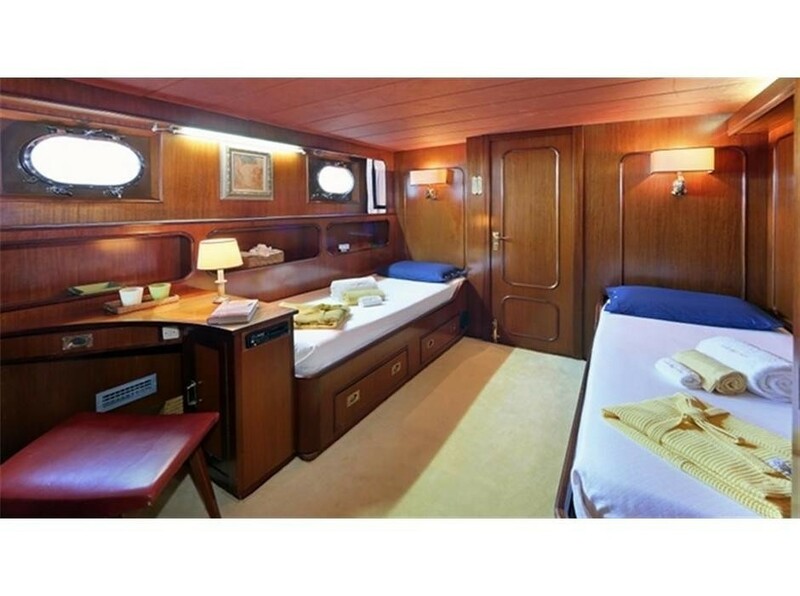 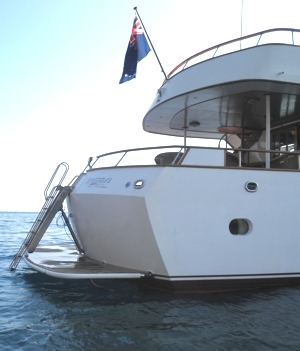 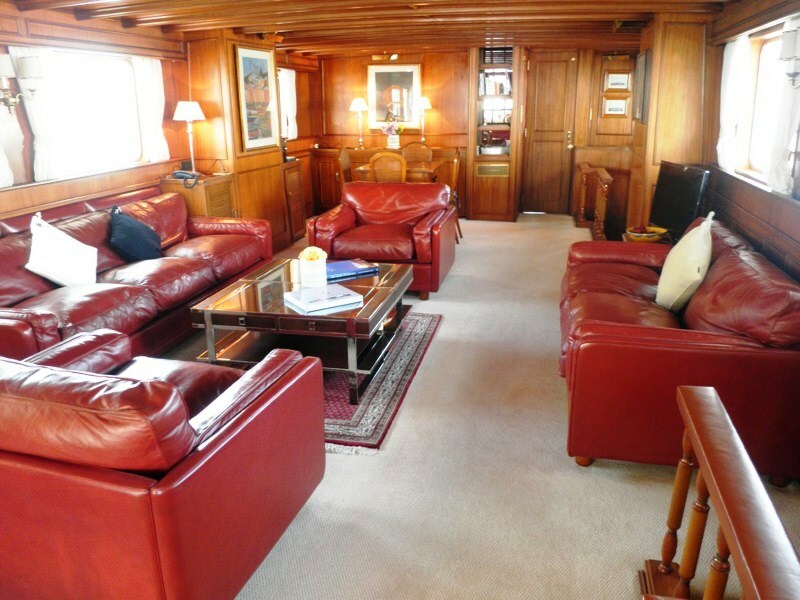 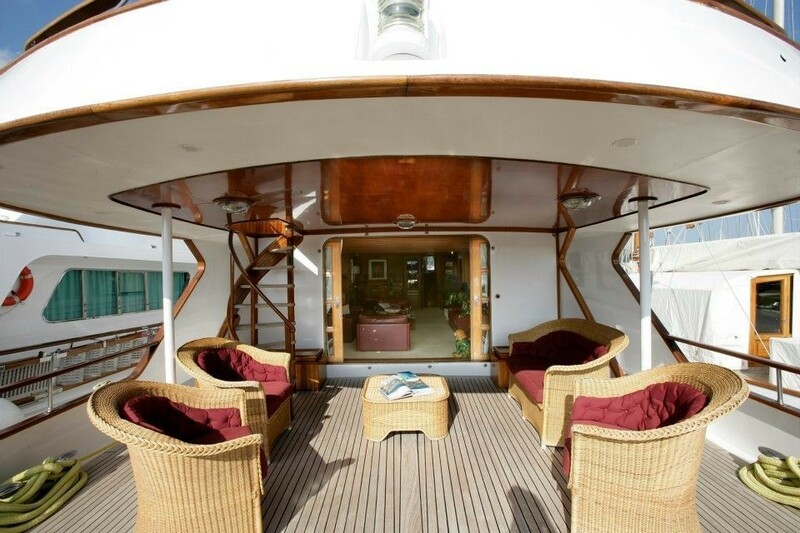 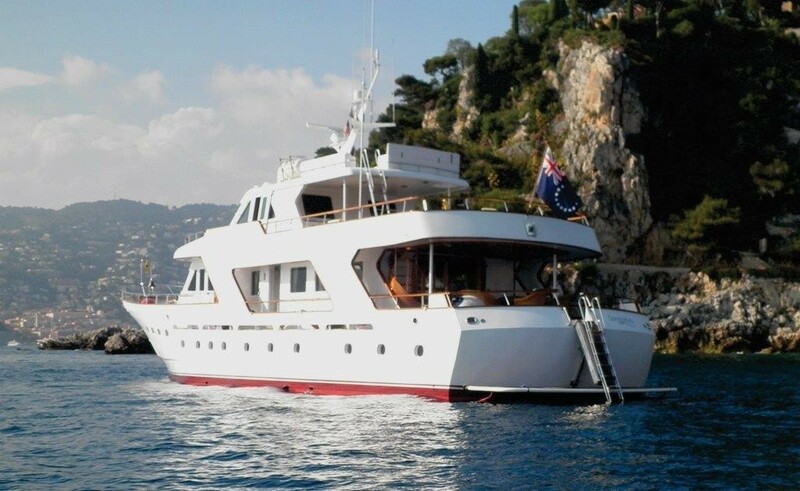 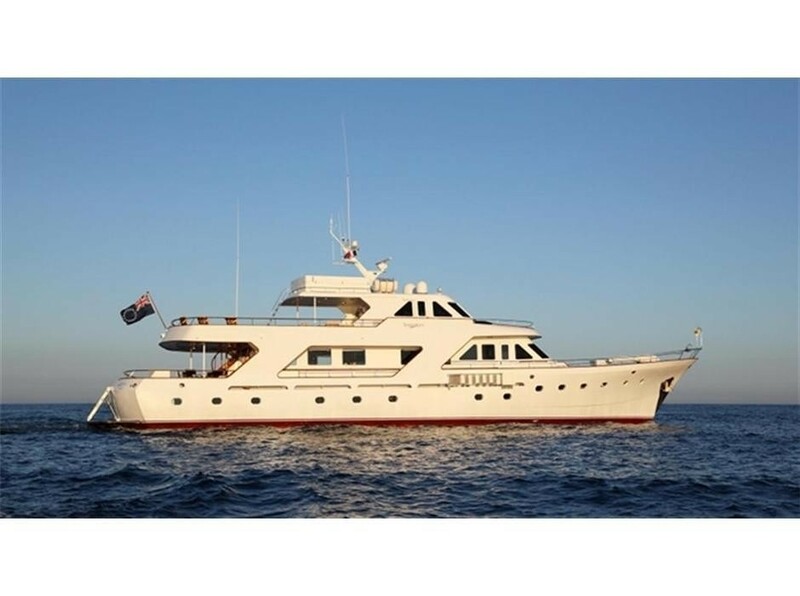 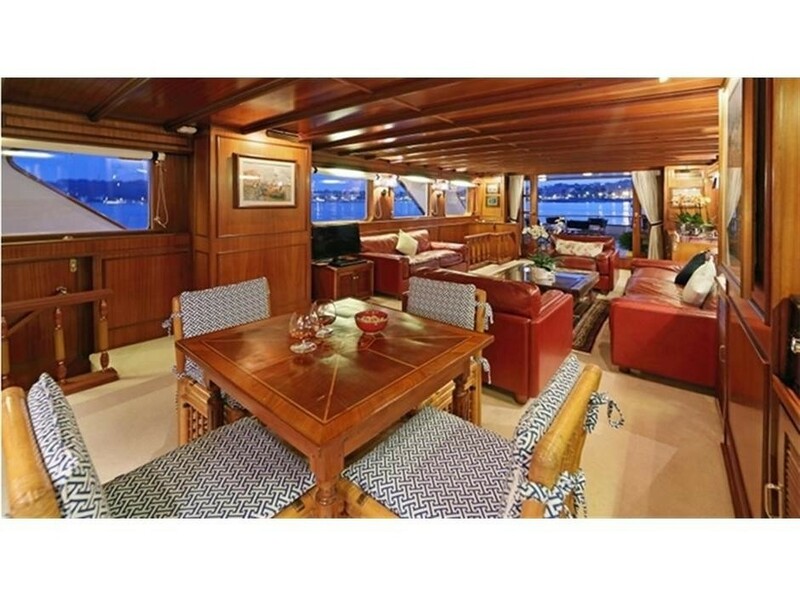 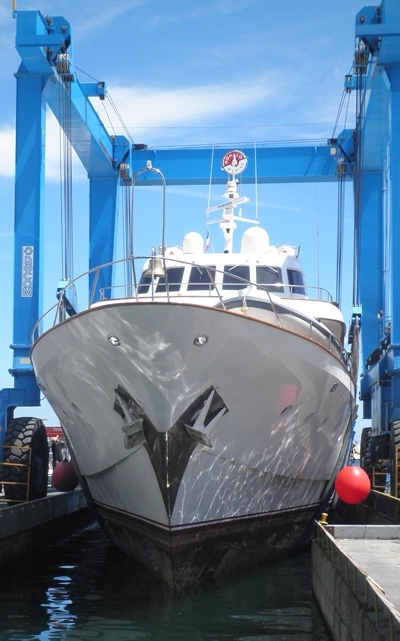 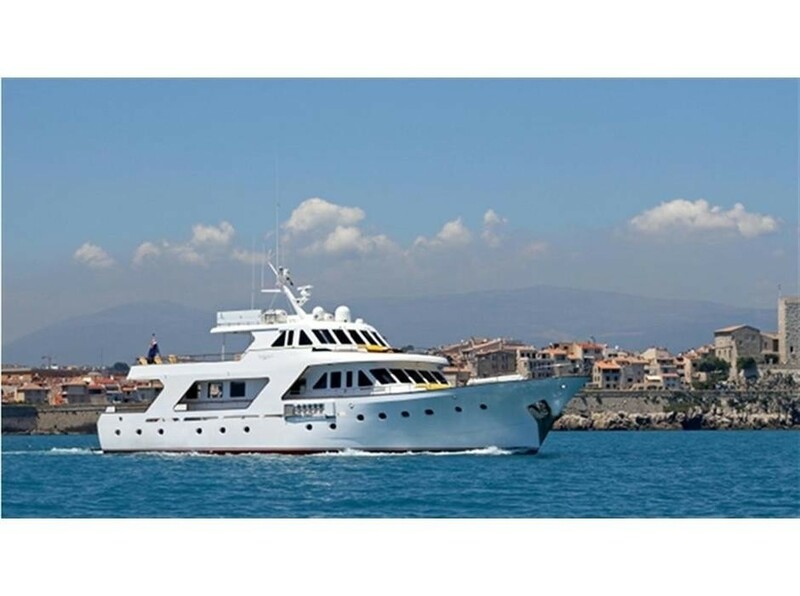 The vessel provides spacious, king-sized master cabin, along with two large twin cabins. 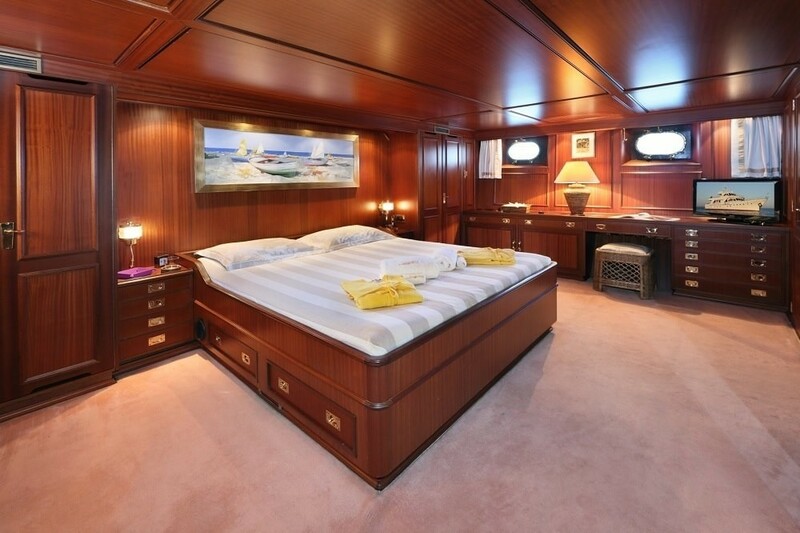 All of these have en-suite bathrooms. 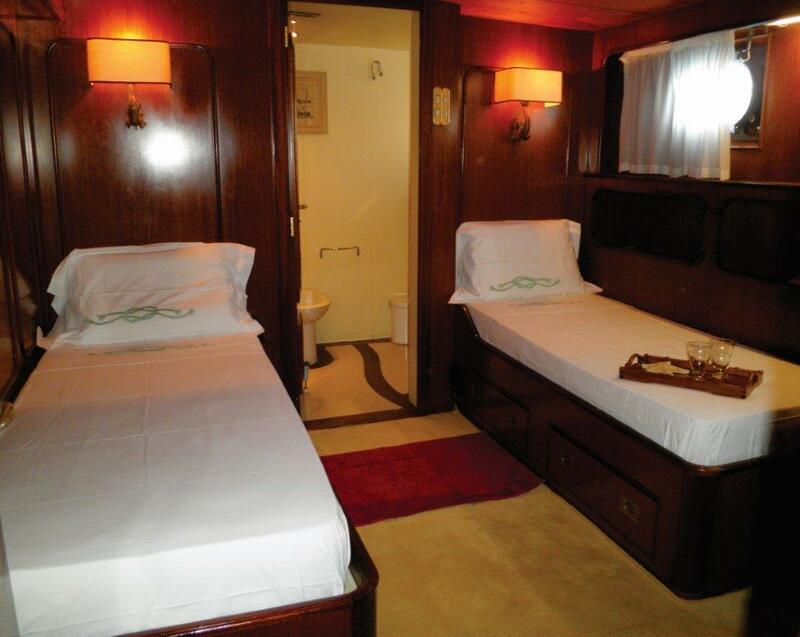 There is also a forward intimate double cabin with en-suite bathroom, ideal for children or a nanny. 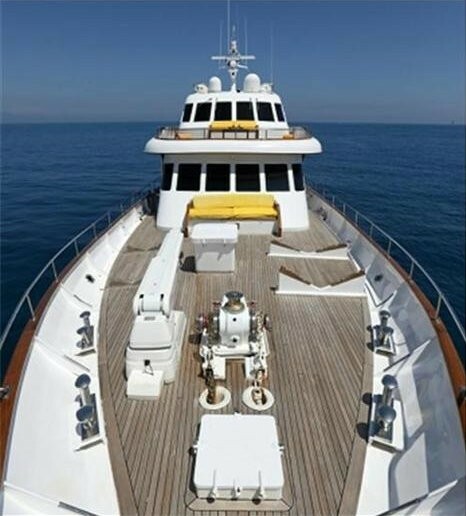 She also sleeps a professional crew of 6. 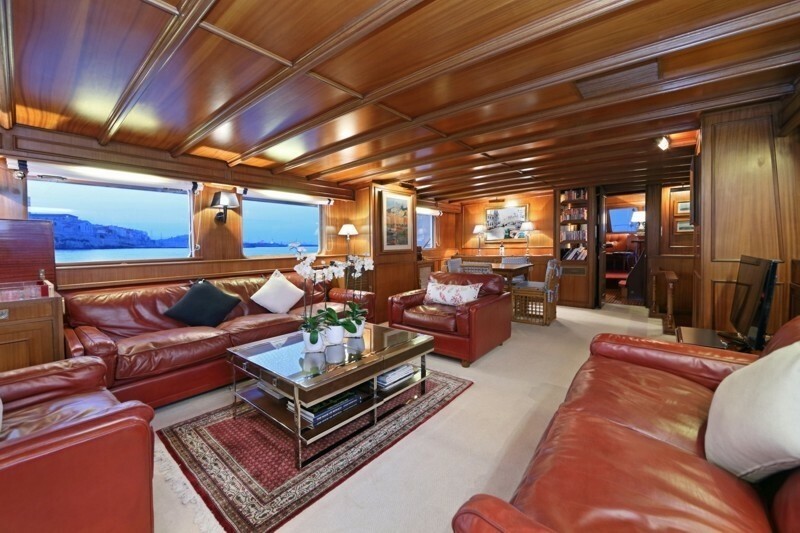 Luxury yacht Sprezzatura boasts a very large main saloon and a magnificent dining saloon forward, providing spectacular views forward and on both sides. 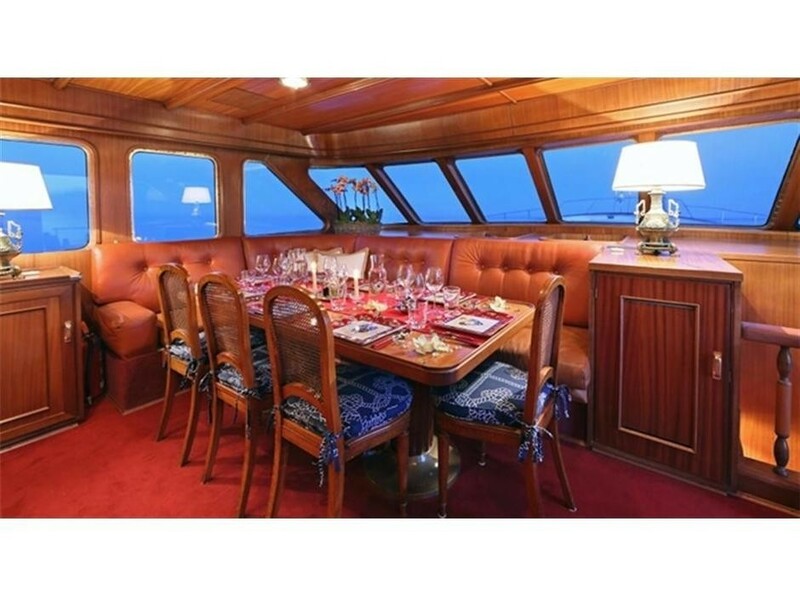 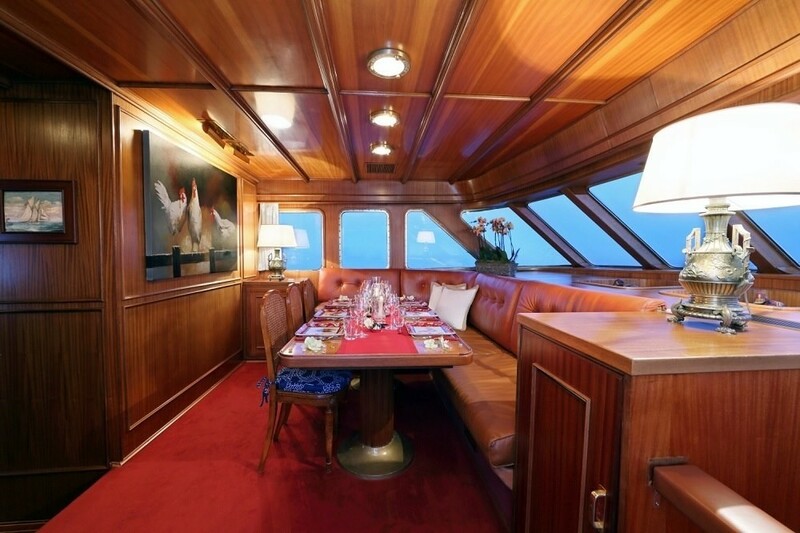 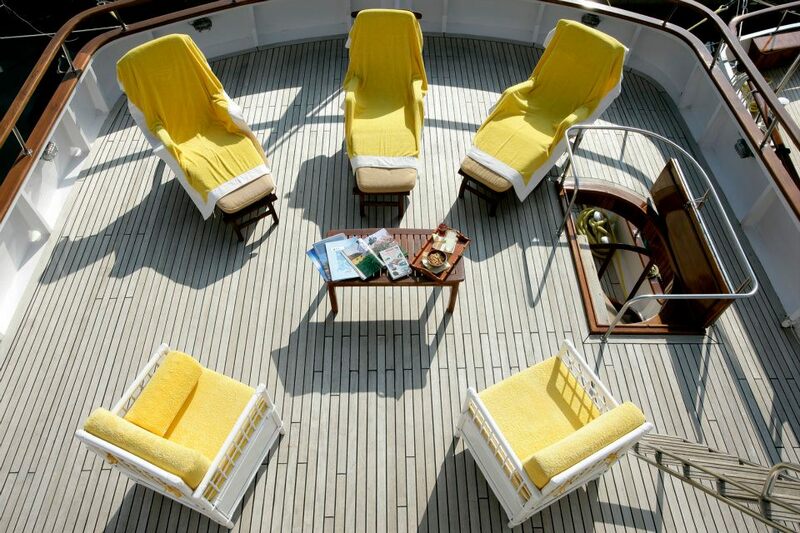 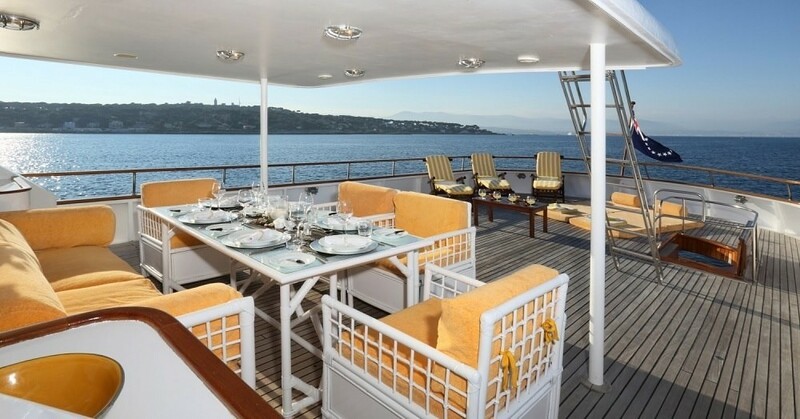 There is also a spacious aft main deck, with lounge and dining seating, bridge deck sheltered dining and a cocktail area, as well as a large sun-deck and forward-facing observation deck on the Portuguese bridge. 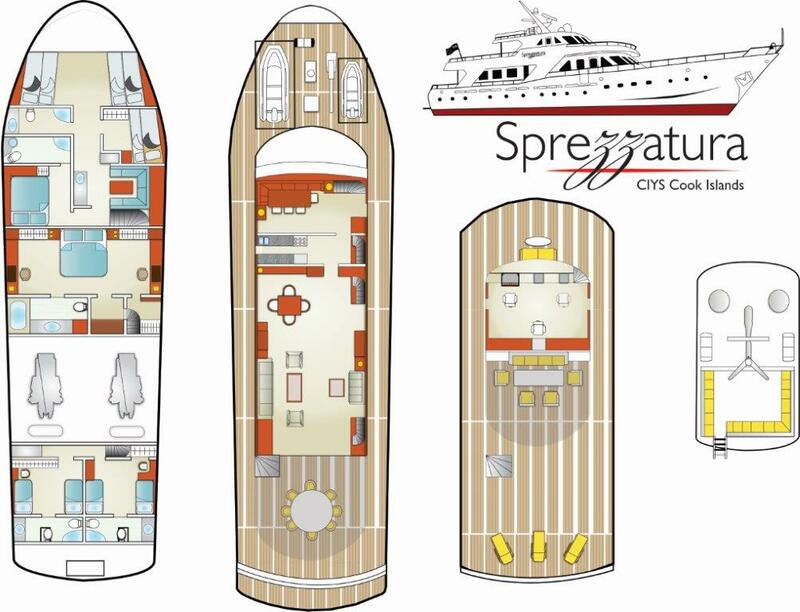 Sprezzatura yacht provides a wide range of amenities, comprising two tenders for water sports, as well as snorkelling, water-skiing and wave-boarding gear. 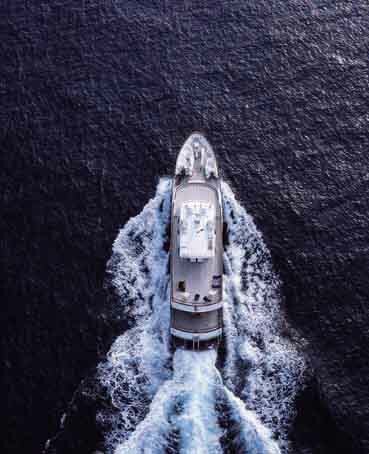 Run by twin 1,350hp MTU diesels, the 30m superyacht Sprezzatura is able to achieve 15 to 16 knots. 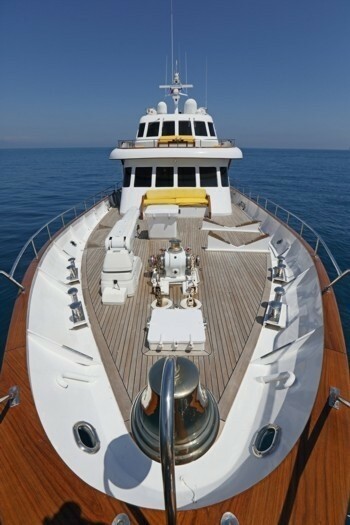 Her beam is of 6,64m (21'8''), while her draught is of 2,5m (8'2''). 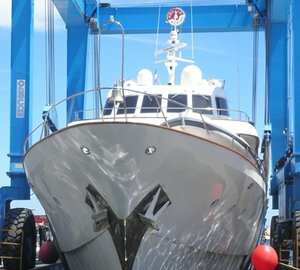 She is built to Lloyd's classification as well as RINA classed. 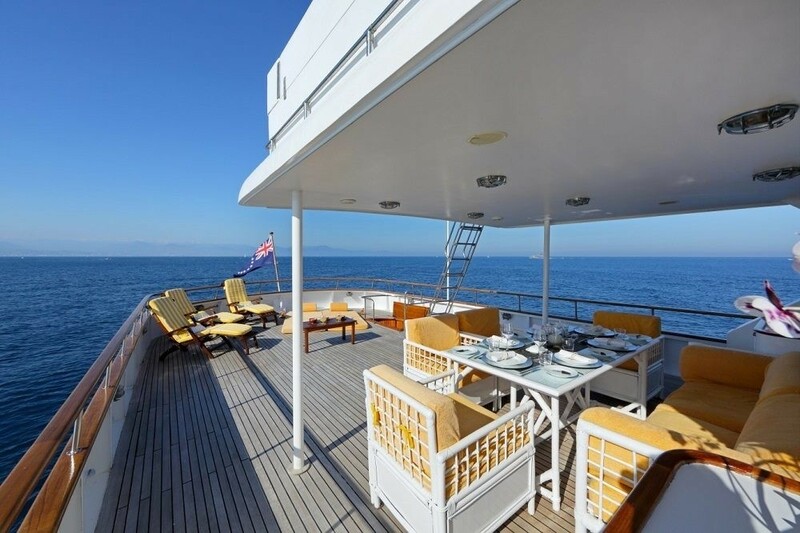 Superyacht Sprezzatura can accommodate up to 8 guests, offering a spacious, king-sized master cabin, along with two large twin cabins. 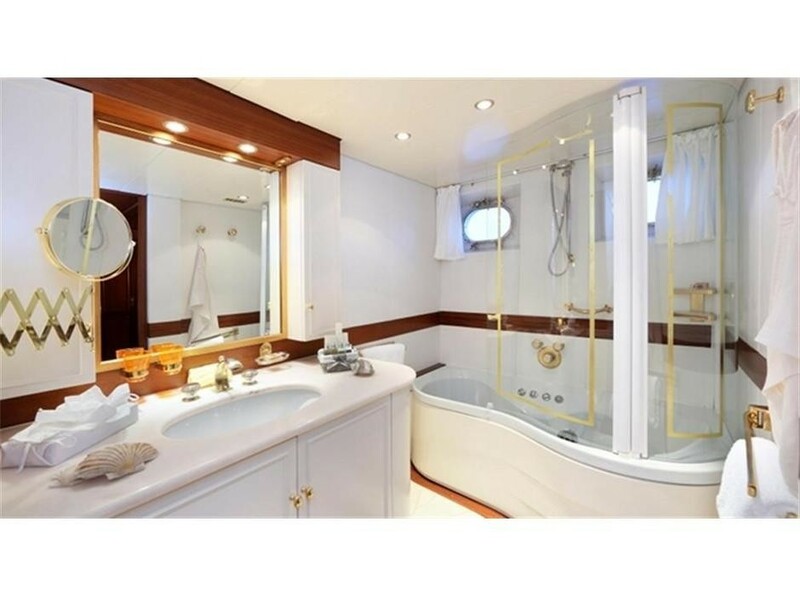 All of these feature en-suite bathrooms. 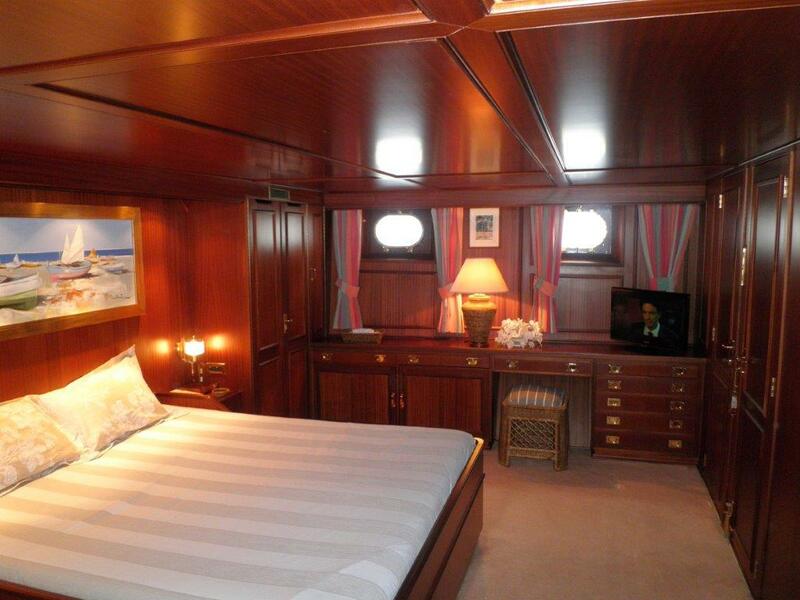 There is also a forward intimate double cabin with an en-suite bathroom, perfect for children or a nanny. 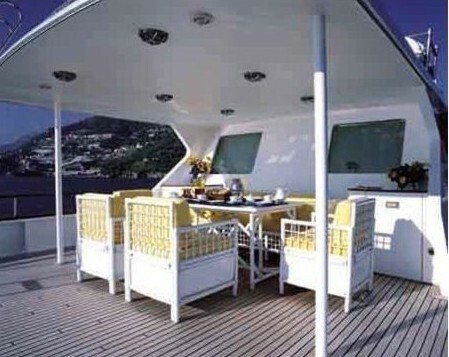 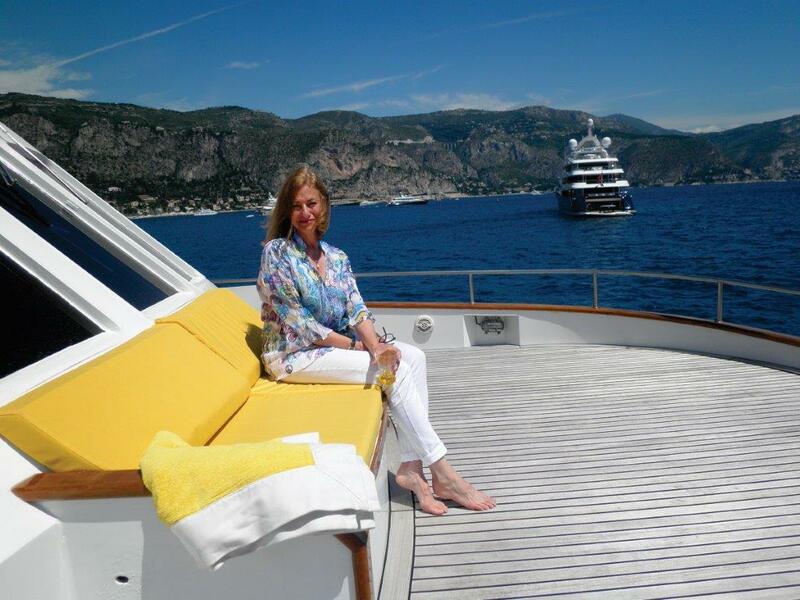 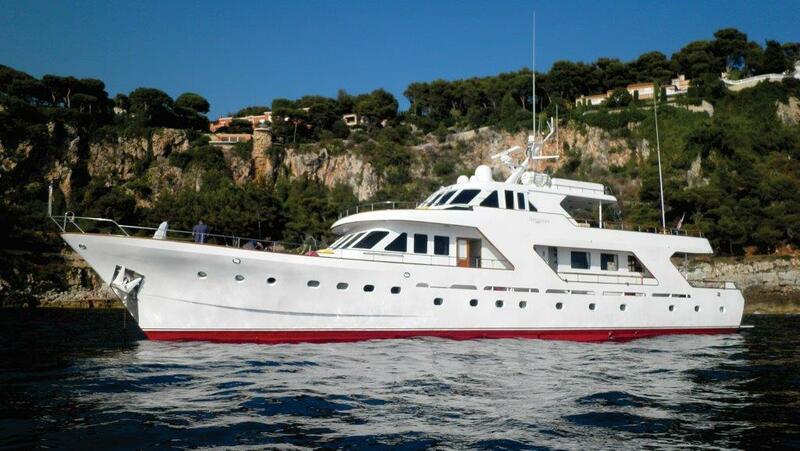 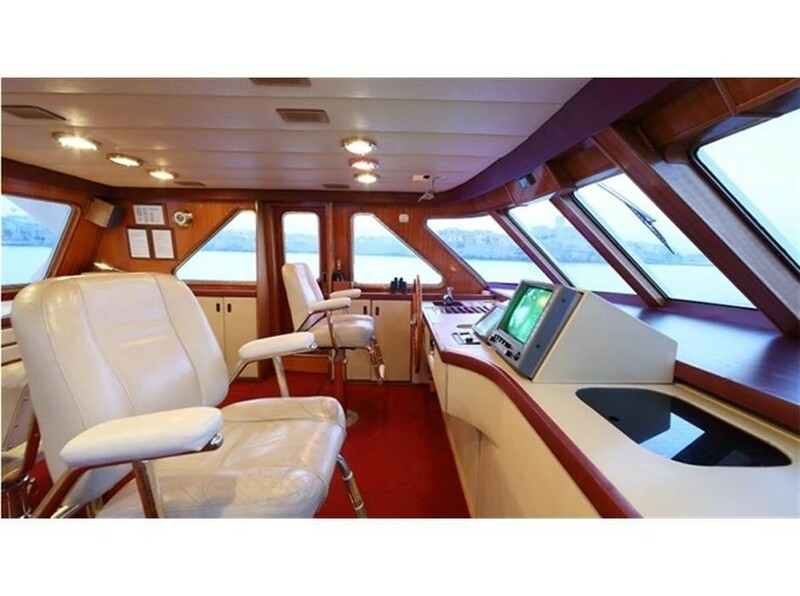 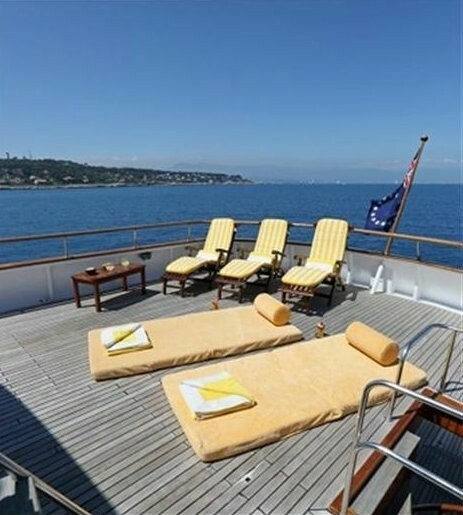 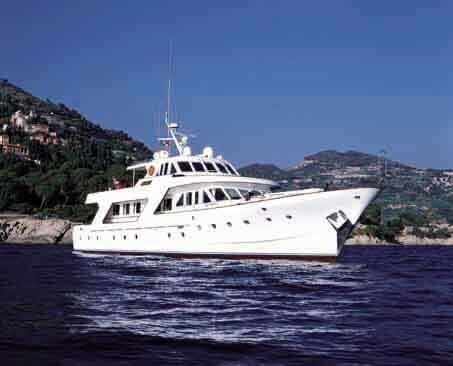 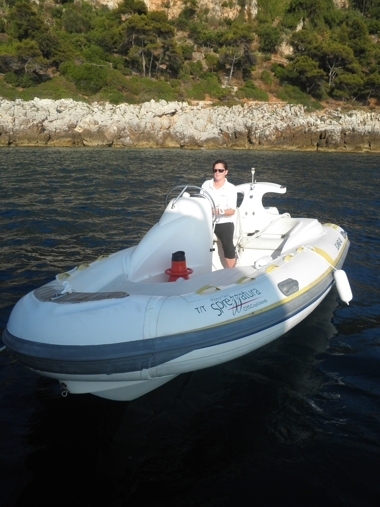 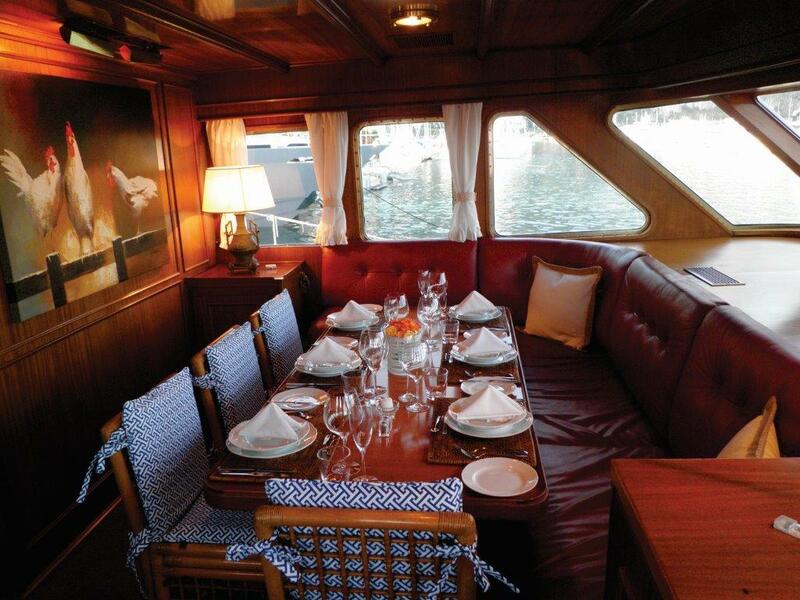 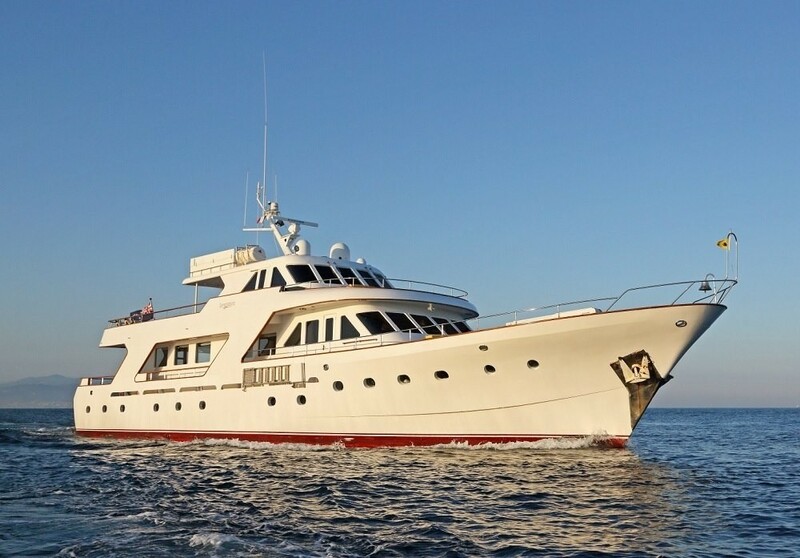 She also accommodates a professional and dedicated crew of 6. 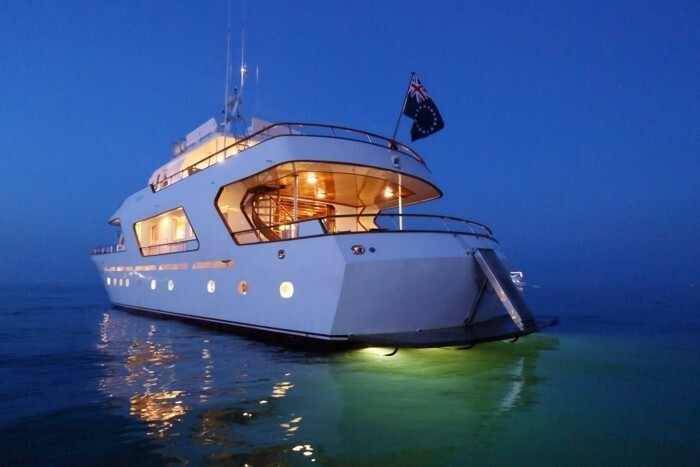 Sprezzatura yacht is fitted with a wide range of amenities, including two tenders for water sports, as well as snorkling, water-skiing and wave-boarding gear.